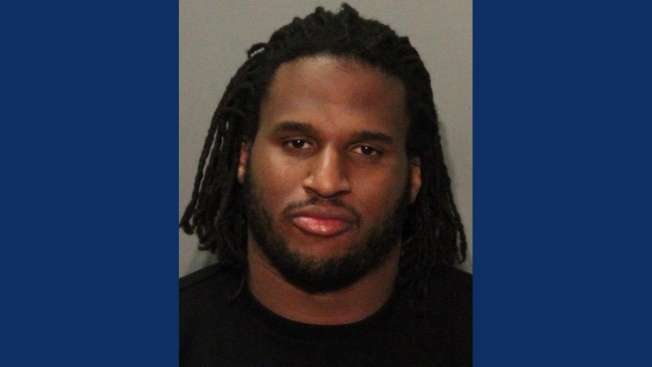 A 911 caller says NFL defensive end Ray McDonald is drunk in a recording that led to his arrest on suspicion of assaulting a woman holding the couple's baby at his home in Northern California. In the audio released Tuesday, a woman identifies herself as the mother of the alleged victim. She says in the call at 3:41 a.m. PDT Monday that she wasn't at McDonald's Santa Clara home but that her daughter told her to call police. McDonald was later arrested at another home and accused of child endangerment and domestic violence. The Chicago Bears released him later Monday. His agent, Tom Condon, hasn't returned multiple calls seeking comment. McDonald has faced other legal issues, including an August arrest on suspicion of domestic violence against his then-fiancee. Charges weren't filed.